Developing Leisure Time Skills for People with Autism Spectrum Disorders: Practical Strategies for Home, School and Community. (Revised and Expanded Second Edition) (Revised and Expanded Second By Phyllis Coyne, Mary Lou Klagge and Colleen Nyberg. It's fairly common for very young children to be quite “clingy” and to be more or less incapable of dealing with spare time. What you might not realise is that many older children and young adults experience difficulty with the concept of free time. 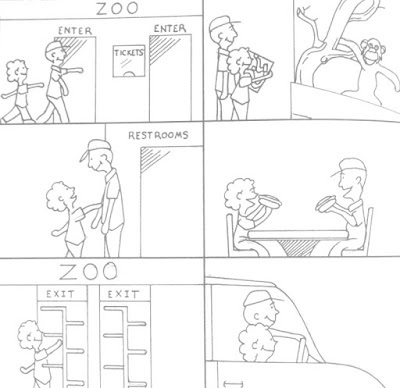 Even older adults, who are verbally challenged and are on the autism spectrum experience these issues. The problem is that since these people can't manage their free time without assistance, they will often "get into trouble" if left alone for more than five minutes. As a result, the parents and caregivers of these people are often unable to take even short breaks for self hygiene without risk unless they arrange for substitute care. The aim of this book is to help people with autism to develop their leisure time skills to effectively "keep themselves occupied". 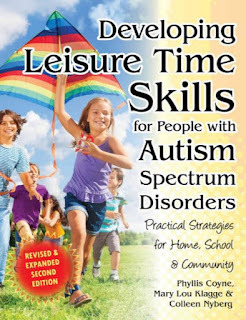 Developing Leisure Time Skills for People with Autism Spectrum Disorders is essentially a textbook and it is primarily aimed at people working with several kids on the autism spectrum. Parents of kids and young adults with Autism Spectrum Disorders (ASDs) will certainly get value out of the book but teachers and occupational therapists will get far more value because many of the included forms and templates are designed for people managing groups and will make it easy to get to know new students and to begin communicating on leisure activities. The authors are mainly concerned with less verbal and non-verbal individuals and indeed, most of the later sections, particularly those with social stories and cards deal with communicating with the less verbal members of the ASD community. 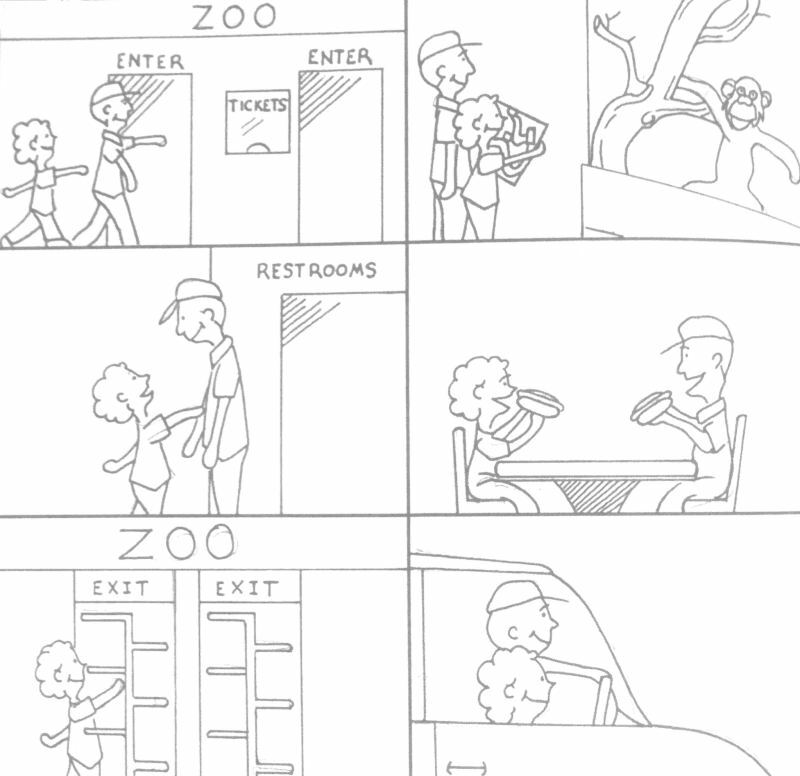 The book starts by introducing three differently aged people with autism. It goes on to discuss the sorts of leisure activities and sensations that they like and dislike. These three people are used as examples in various chapters throughout the rest of the book.. This is a large sized book with big print and it's very easy to read and designed to be photocopied (for forms). Some the interesting forms and examples match activities to sensory seeking behaviour, for example, a child who loves the sensation of having the wind in their face may enjoy an activity like bike riding. There's about 112 pages of text, then just as many pages of appendices. The appendices are very practical and contain many forms, glossaries of terms and activity cards. The appendices also contain descriptions of games that can be played with associated activity stories. There are activity stories and cards for real life leisure activities like bowling swimming, fishing, going to the park. These cover preparation, the activity itself and a review of the activity. You will finish this book with a good understanding of how to create activity cards for your own child or those under your care. 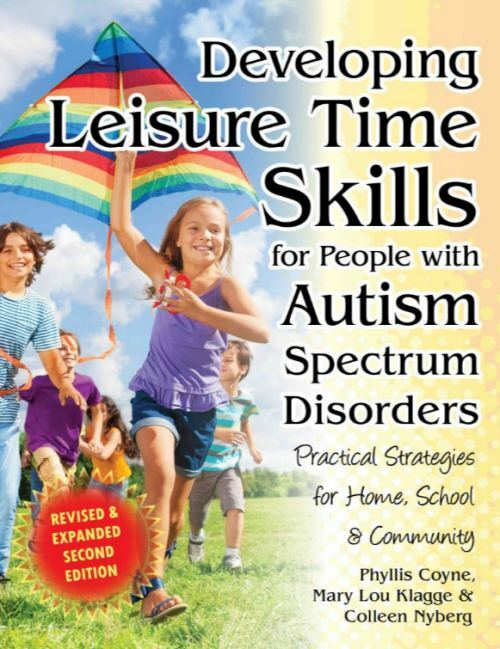 Developing Leisure Time Skills for People with Autism Spectrum Disorders: Practical Strategies for Home, School and Community. (Revised and Expanded Second Edition) (Revised and Expanded Second By Phyllis Coyne, Mary Lou Klagge and Colleen Nyberg. is available in paperback from Future Horizons Inc and Amazon. I was provided with a copy of this book free of charge for review purposes. New and first time....mother of undiagnosed 28 yr old male. Don't know my next step.